Born in Fort Worth, Texas, Dr. Taylor knew early on that he wanted to enter a profession where he could help others. First, he received a Bachelor of Science from Hampton University in Hampton, Virginia, before attending Life University in Atlanta, Georgia. Dr. Taylor earned his Doctor of Chiropractic in 2003 and opened Fidelity Health Care to support the health of our community. Since attending school, Dr. Taylor continues to learn by taking regular courses on a variety of health topics, such as the latest chiropractic techniques. Bringing a whole person approach to health care, Dr. Taylor searches for the underlying cause of your problems, using a variety of solutions to optimize your well-being. I want to give people an all-natural, healthy lifestyle. 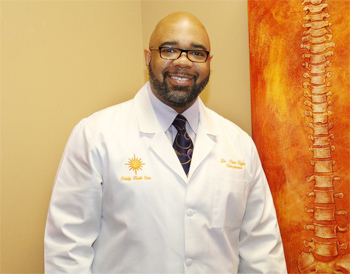 Dr. Taylor has also served on the board of the American Black Chiropractor Association. 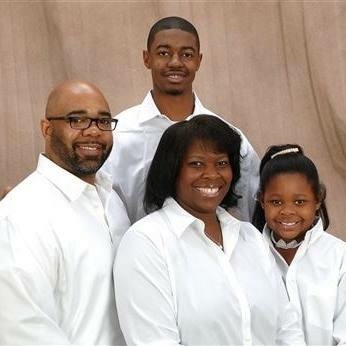 He is an active member of the Antioch Baptist Church North and enjoys doing volunteer work with his church, Habitat for Humanity, Feed the Homeless and Boys & Girls Clubs of Metro Atlanta. Outside of the practice, Dr. Taylor is a self-proclaimed simple guy who enjoys being with friends and family. He finds pleasure in the small things in life, like going to the movies with his wife and daughter. Watching sports is another favorite pastime, especially boxing. He is passionate about helping the people of our community with natural and effective chiropractic care. Always strive to be better than the rest but amongst the best. We want to make sure health care is convenient for you and your family. Schedule a same-day or Saturday appointment now to get started on improving your health!